The RAP-299-3-B-102U by RAM Mounts consists of a double socket arm, two diamond bases and RAM-A-CAN™ II cup holder base. The diamond bases measure 2.43" x 1.31" diamond base and contain two holes 1.912" from centre to centre, positioned at both ends of the diamond base. The hole pattern found on the diamond bases will connect to many RAM cradles, as well as third party cradles including mounts with the industry standard AMPS hole pattern. 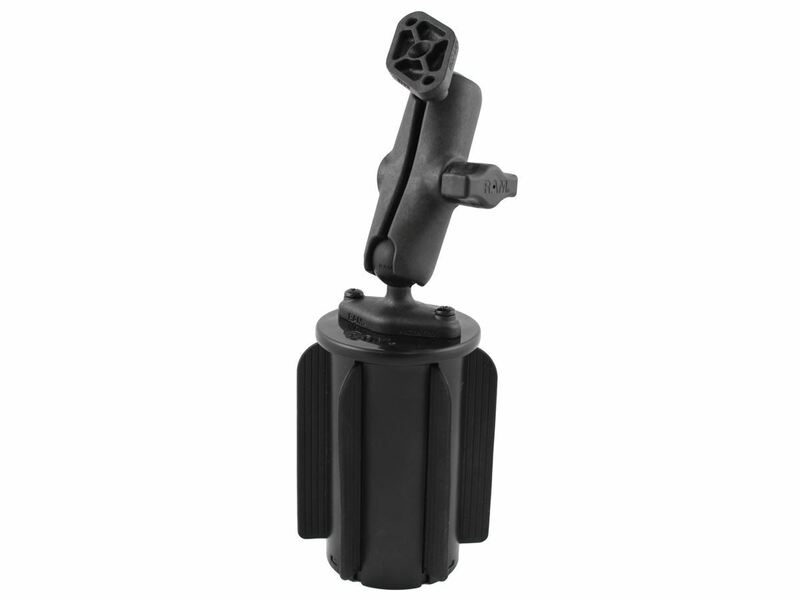 Designed into the mount is a 1" diameter patented rubber ball and socket system with adjustment points at both socket ends of the arm. The RAM-A-CAN™ II cup holder base serves as a mounting point for the diamond base.